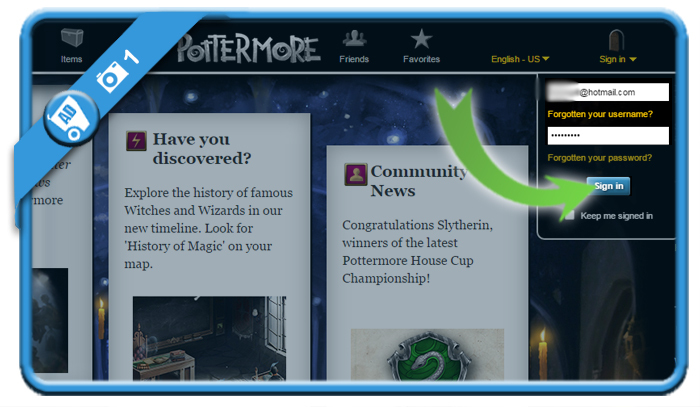 Pottermore makes you experience the Harry Potter adventure online. 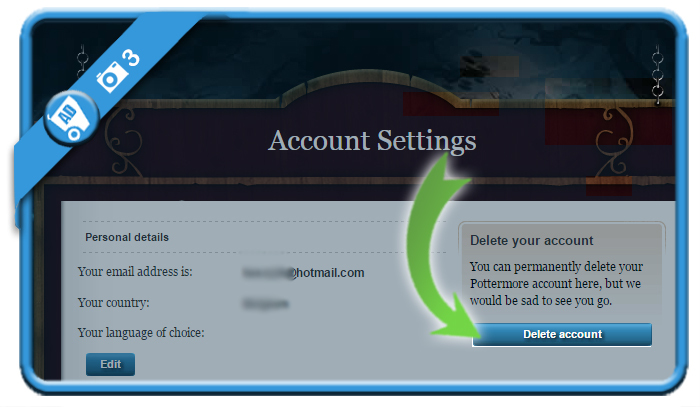 But when you’re done with Harry Potter and his magic tricks, you might be considering to close your account. In that case: Don’t look further, because I’m about to explain how you can do that in the Settings of your profile. 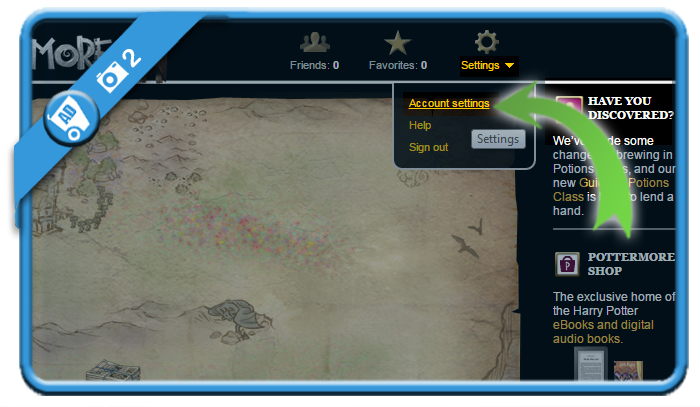 The delete button that wille permanently close your profile. 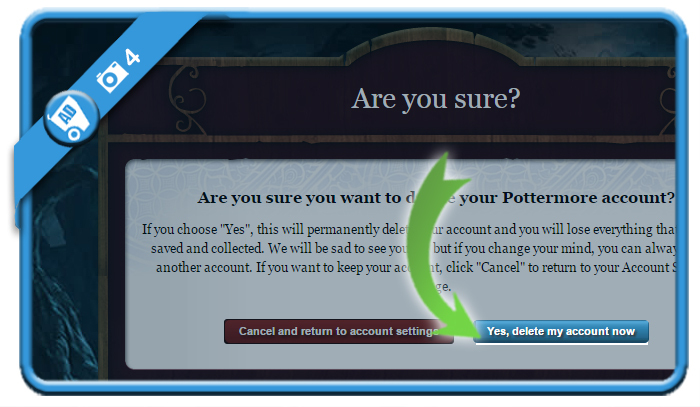 Congratulations, your account has been successfully removed and you’ll be redirected to the homepage.